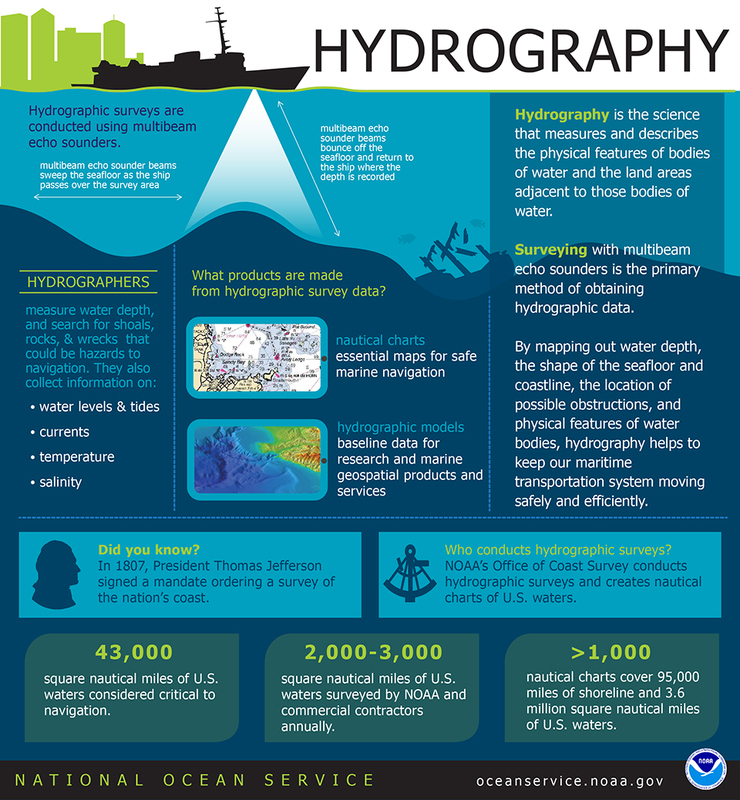 GeoGarage blog: It's World Hydrography Day : what is hydrography? It's World Hydrography Day : what is hydrography? Wednesday 21st of June is World Hydrography Day as declared by the United Nations. Hydrography is the science that measures and describes the physical features of bodies of water. By mapping out water depth, the shape of the seafloor and coastline, the location of possible obstructions, and physical features of water bodies, hydrography helps keep our maritime transportation system moving safely and efficiently. What would the ocean say?